Home > Blog > What Is Page Speed & How Does It Impact My B2B Website? Search engines, like Google and Bing, are committed to making the entire web faster, while also serving up websites and meeting the needs of an online searcher. In fact, if you look up “page speed google,” one of the first results is Google’s developer site which has the headline “Make the Web Faster.” This is clear proof that Google is committed to making websites faster (and you should be too!). How can you maximize page speed? Search engine optimization software provider Moz has a great resource page on page speed. Simply defined, page speed is “a measurement of how fast the content on your web page loads.”(Source: Moz). This can be tracked and monitored with tools like Moz or even in Google Analytics (see the Site Speed section under the Behavior Reports). 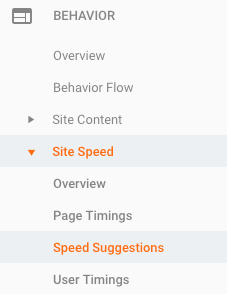 Additionally, you can check the page speed of your website using a tool, appropriately named PageSpeed Insights, provided by Google: https://developers.google.com/speed/pagespeed/insights/ As the page indicates, the tool will analyze the web page and provide recommendations for making the page load faster. Did you know that 47% of consumers expect a web page to load in 2 seconds or less? In fact, 40% of people will abandon a website that takes MORE than 3 seconds to load. Even a 1 second delay in page response can result in a 7% reduction in conversions. User Experience: In our client-experience driven culture, it’s important that prospects and clients find it easy to do business with your brand. If your website is slow to load or navigate through, they will assume it’s a representation of what it’s like to use your products or services (cumbersome and not user-friendly). Lead Generation/Conversion: If your website is loading at a sub-optimal rate for desktop or mobile users, they will abandon your B2B website before they complete a conversion action. Why fill out a form if it takes forever for the page to load? SEO: If Google is talking about page speed, you can bet it matters. Think about it, if the website loads slowly and users aren’t sticking around to wait for the load time, why would Google continue to show that website in search results? Also, it’s been confirmed that starting in July 2018, page speed will become a ranking factor in mobile search. Brand Reputation: The difference between a 2 second and a 3 second load time could potentially cost you 40% of your website visitors! This is especially critical if it is a user’s first encounter with your brand or company. If they bounce off your website because it loads too slowly, they likely won’t be back. You don’t have to take our word for it. HubSpot put together a great article on How Page Load Time Affects Conversion Rates: 12 Case Studies. Depending on your B2B web design and development, there are a variety of things you can do to improve the page speed of your website. This is not a comprehensive list, but rather, a set of best practices for creating websites that perform optimally. Start with the right web host – Which provider you choose as your website host can have a huge impact on page speed. We recently moved a client from one host to another and they saw a 34% increase in page speed. Use browser caching – Web developers often turn to browser caching to improve the load time of a website. This reduces the time back and forth between servers. Here is more information about browser caching on Google’s developer site. Most good hosts offer caching on the server level. Compress all images – It’s important to optimize all images on a website to reduce the delays in page loading times. Make sure that images are the least amount of pixels and bytes before uploading to the website. Learn more about image optimization. Compressing images is, of course, in addition to uploading images in the proper dimensions. If an image is supposed to be 1000×500 pixels and you upload and image that’s 3000×1500 pixels, it’s going to load much slower. Remove unnecessary code – You’ll likely need to work with an experienced web developer to ensure that all extraneous code can be removed or minimized on the backend of the website. “Lazy loading” – it’s a real thing. Essentially, it allows all the elements that are visible to load and stalls loading the elements further down on the website from loading until they become visible. Objects on a website may not appear until the user gets to that section on the website. 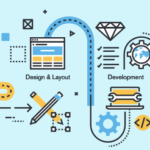 Work with a knowledgeable web designer and web developer – This is critical to ensuring that everything that you don’t see (all the code) is optimized for faster loading times. Consider AMP – Accelerated Mobile Pages are ideal for brands and companies that have a large portion of mobile traffic. If your mobile traffic is over 65-70%, it’s time to consider introducing AMP to your website. Learn more about AMP through the AMP Project. Even if you don’t care about search engine optimization for your B2B website, page speed optimization should still be on your radar. 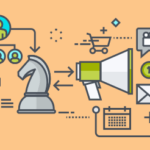 It’s a solid strategy for improving the overall user experience with the digital face of your brand. Ready to talk B2B web design for your brand? Contact us today for a personalized consultation.